Kentucky Blood Center is celebrating 50 years of saving Kentucky. And they are celebrating that special day with a big summer giveaway. Enter the KBC Toyota 4runner Giveaway now where you could win a 2018 Toyota 4Runner from Kentucky Blood Center (“KBC”). How To Enter The KBC Toyota 4Runner Giveaway? Donate your blood between May 21 and Sept. 7 at any KBC donor center, and you’ll be entered to win a brand new Toyota 4Runner. You can check KBC donor center or blood drive Here, or call 800-775-2522.
Who Can Enter: This sweepstakes is open to all individuals who are 18-years-old and older who voluntarily register to donate whole blood, platelets and double red cells, in accordance with KBC Standard Operating Procedures, are eligible to win the 2018 Toyota 4Runner. 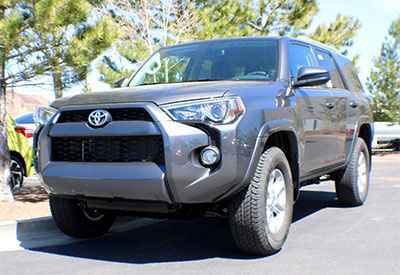 When To Enter: The KBC Toyota 4runner Giveaway begins on May 21, 2018 and ends on Sept. 7, 2018. Sweepstakes Prize: The Grand Prize Winner will receive the following (the “Grand Prize”): 2018 Toyota 4Runner.